One look at the specs sheet for any of today’s model and chances are you will pretty much be confounded by the variety of specifications that will be presented to you. Manufacturers, in the current scenario are having a race to just dump more specs on the public’s face to constantly mint more money instead of making the process of buying a TV model more hassle-free and streamlined. 1. LCD – LCDs are flat panel displays through which light can be passed or blocked. 2. LED – LEDs are similar to LCD TVs in the provision that they provide the backlighting for LCDs. 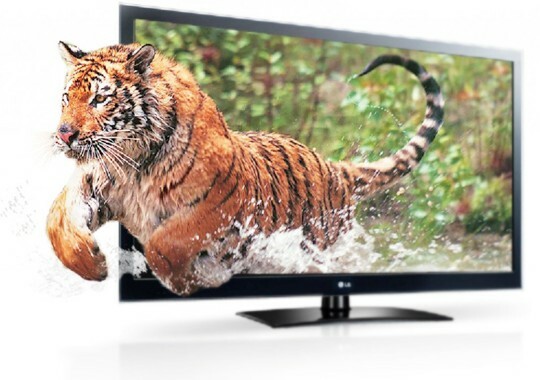 Another factor to be considered while buying LED TVs is the type of backlight used. Edgelit LED – Decent image quality, non-uniform light distribution, slim design and low cost. Backlit LED – High image quality, uniform contrast, a bit thicker on the design front. 3. OLED TV – OLED TVs are supposedly the next big thing in the world of televisions. Their uniformity in color rendition is something to be marvelled at and have perfect blacks in the pictures shown. Screen size is best defined by the length of the diagonal across the screen. As always, don’t go for the higher number. Instead, make a decision on how much space can the cabinet accommodate or if it’s a wall-mount, how much space will it occupy. Which size fits which workplace or home ? And then choose a model which fits your space requirements. 24 – 32 inches – These are meant for budget models and are best suited for bedrooms and smaller rooms mostly. 32-49 inches – These sizes are more versatile in their nature and come laden with a lot of innovative technologies. Best value for TVs. 50-65 inches – Meant for large living rooms and offer a spectacular visual experience with its highly detailed and cinematic colours. 1. 4K Resolution (3840*2160px): 4K resolution has clearly led the way for a vast improvement when it comes to display resolution. They offer high detailed imagery and colour rendition is top notch and something to experience even though the availability of 4K content is very much limited and Upscaling does not do justice to the content from other display resolutions. Best viewed with screen sizes above 49in. 2. Full HD (1920*1080px): The best option after 4K as it is mostly preferred by users for its quality content. 3. HD or HD Ready (1366*768px): Generally used in budget televisions. Supports decent level performances.Selection for resolution also depends on the screen size and viewing distance for the intended recipients. For 4k models, the viewing distance should preferably be close. As we go down the order, viewing distance also increases. Are refresh rates really important as advertised by most manufacturers? Some of them advertise with values of about 500+ Hz. Every manufacturer tends to rename refresh rates according to them, inflate the numbers and thereby fake refresh numbers are generated, which simply mislead the users about the actual performance. There is no standard definition for these TVs as they may vary among different manufacturers. One brand may call a TV a smart TV when it has Wi-fi connectivity, built in apps and an app store while other brands may distinguish their internet ready TV as smart TV. It is completely dependent on the manufacturer to identify specifications under which a TV can be called smart TV. Technically, a smart TV should have web features, interactive media, streaming content and should come with an operating system. Active 3D – Offers Full HD resolution but is very expensive. Passive 3D – Does not strain the human eye and is cheaper. 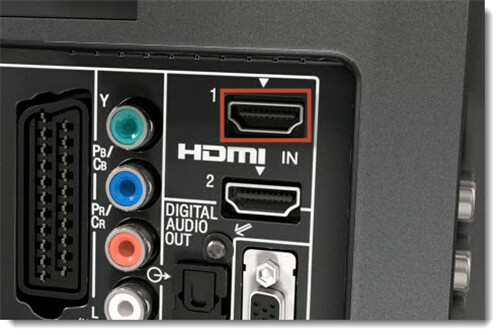 Most users tend to ignore this but HDMI ports play an important role in connectivity requirements. Always look for three HDMI inputs. Why ? Because if you use set-top boxes or gaming consoles, a higher number of ports is preferred. For 4K content users, always look for ports which support HDCP 2.2. Why Do Most Of The Movies & Tv Shows Have Celebreties Endorsing Apple Products? Apple to start production of Smart TVs!